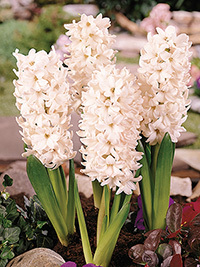 Blush pink hyacinth, this beautiful hyacinth would make an excellent cut flower. Very Fragrant. Early spring flowering, 25 cm tall.